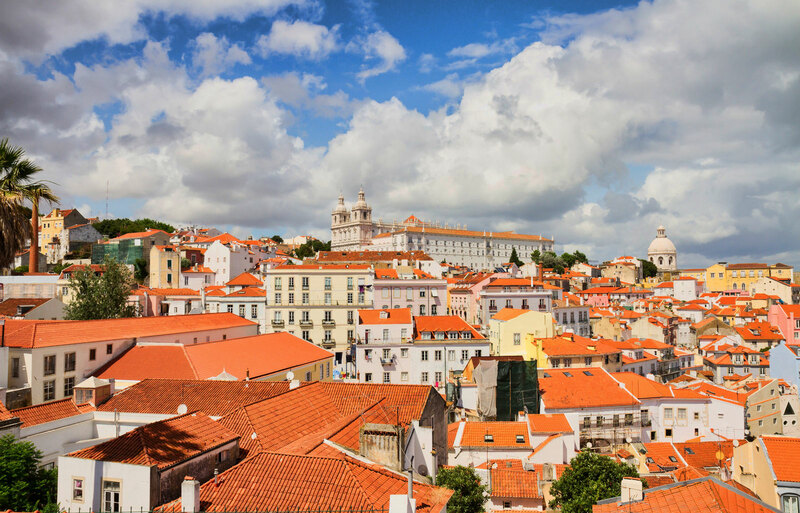 The Graça District is one of Lisbon's oldest suburbs, located on top of her highest hill, a few blocks north-east of the Castelo de Sao Jorge and just up the hill from São Vincente de Fora Monastery. The neighbourhood, which centres around the Lago da Graça (the number 28 tram stops here), boasts some of the most spectacular views in Lisbon. The most famous viewpoint is the Miradouro de Santa Graca, which offers up the whole of central Lisbon and the castle to the north. An open-air cafe, open late into the night in Summer, is a favourite with young locals. The lesser-known Miradouro da Senhora do Monte is an uncrowded spot, popular with lovers, where you can sit and watch the sun set over the city. Although there is no cafe here the rooftop bar of the Abergaria Senhora do Monte is open to visitors and offers even more spectacular views. Inside a small chapel dedicated to St Gens is a chair reputed to guarantee every pregnant woman who sits in it the safe delivery of her child. Six hundred meters down the hill from the Senhora do Monte is the Baroque Igreja de Graça, one of Lisbon's oldest churches and now used as a military barracks. The church was built in 1721 and features a collection of seventeenth century tiles. The Graça District is reached by walking up through the narrow streets of Mouraria (an African Alfama without the tourists and boutiques). Graça itself is a charming place whose own narrow streets are brimming with cake shops and restaurants, mostly frequented by locals. Graça offers easy access to bus, tram and underground and is within walking distance of most of Lisbon's hotspots.